Here's a close-up photograph of the levelled gravel surface. It is very smooth and flat, but is easily disturbed at the moment by wheeled vehicles. Remarkably, the digger can manoeuvre on it without too much disruption. 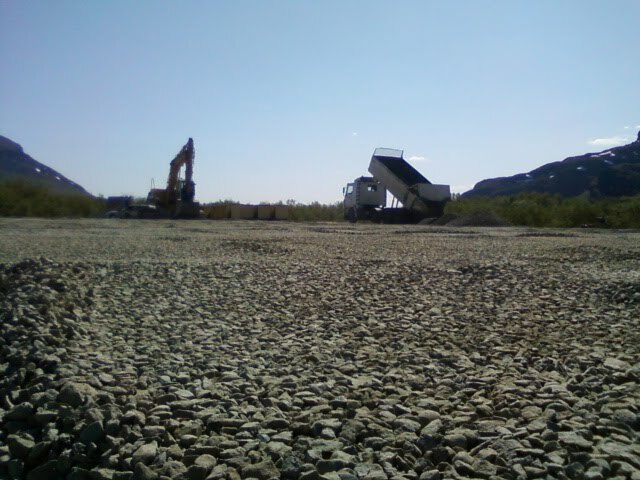 Once this gravel has been placed, then work can start on the installation of the special water drains.